Available at the gift shop; quantities limited. Prices do not include tax or $5 deposit. We have a limited number of electric scooters available for $28 per day. We suggest reserving one in advance by calling (918) 669-6618 or (918) 669-6616. Electric scooters can only be operated by a single person. Operators must be 18 years of age or older. All operators must have a valid drivers license. Young children are not allowed to operate the chair. All lost items are brought to the information building at the entrance plaza. To reach lost and found, call (918) 669-6602. All items left for more than 30 days will be donated to charity. 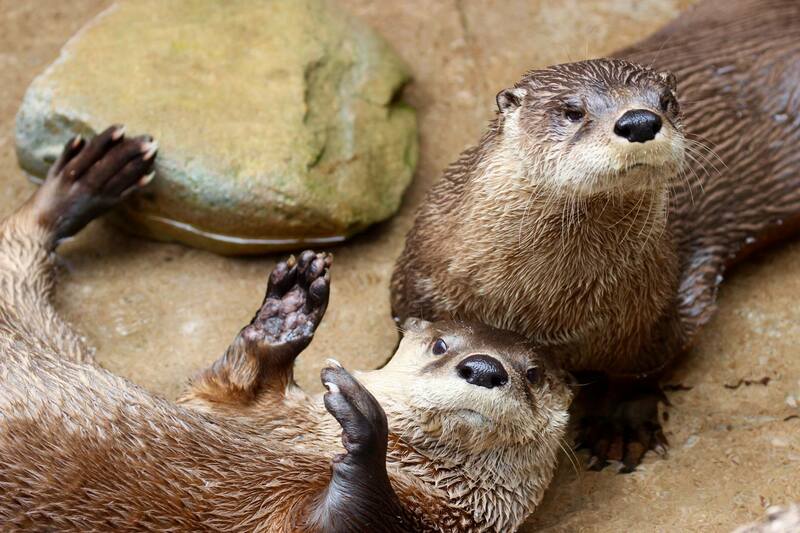 The zoo offers many spots to grab a snack, a drink or a fun zoovenir. Please note that all amenities have varying hours based on time of year and weather. The Grille, as zoo regulars call it, is a full-service restaurant that offers everything from hot pizza to hamburgers made to order. Wash lunch down with an ice cold soft drink or select a tasty dessert. Indoor and outdoor seating is available. The Coop at Rajans offers Nashville-style chicken sandwiches, hand-battered strips and loaded tots. Located in the heart of the Lost Kingdom exhibit complex, Rajan’s offers a climate-controlled indoor section is perfect for watching the big game, with multiple screens and beer on tap. If you prefer a more wild dining experience make your way to the patio section of Rajan’s, with up-close viewing of the tiger exhibit. The Komodo Canteen offers two seating areas where guests can relax with a sweet or salty treat, and enjoy fantastic views of the wildlife around them. Or just grab a hand dipped corndog, funnel fries, or tater tots — and wash it down with a soda, ICEE or beer — as you journey through the Lost Kingdom. Other concession carts may pop up around zoo grounds to offer guests delicious snacks. These carts are mobile and open based on weather and events. Jaguar Junction is the zoo’s ice cream and snack shop, conveniently located next to the Helmerich Playground. Stop by for a refreshing snack and let the kids release some energy on the playground. Picnic tables with playground view are nearby. 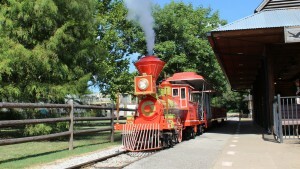 Purchase train tickets, snacks or drinks at the zoo’s train stations. The gift shop at the entry plaza offers fun, zoo-themed merchandise for every age group and budget. 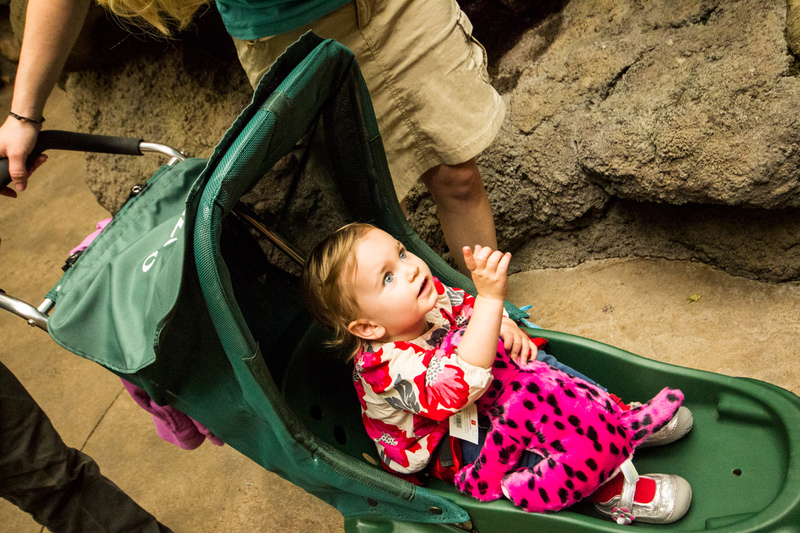 Stop by on your way out of the zoo to find your treasure.